Gov. 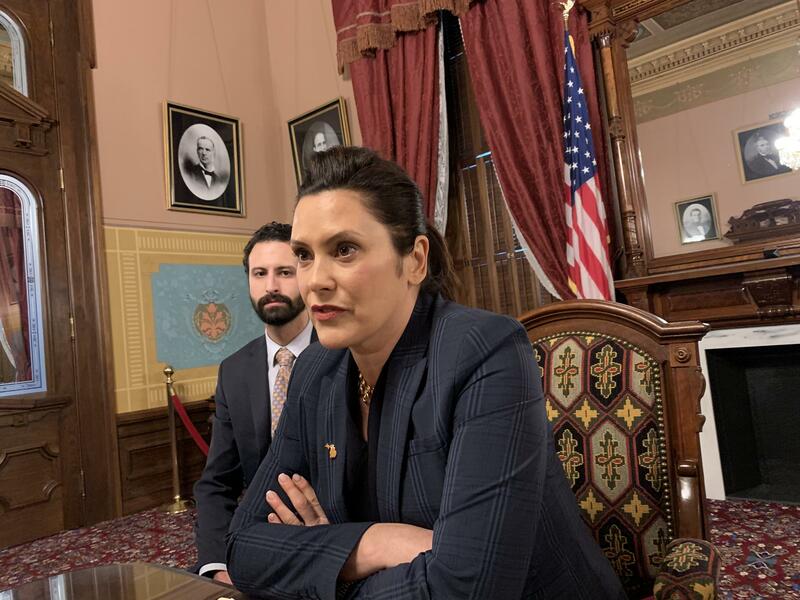 Gretchen Whitmer with Yousef Rabhi in the background. The House measure went from committee to a full floor vote within hours. But the Senate decided to hold off for now on any measures to block the order. Amber McCann is a spokeswoman for Senate Majority Leader Mike Shirkey (R-Clarklake). She said overturning the order is not his first choice, and he wants to continue discussions with Whitmer.